Before the start of the season, McAllen High coach Pat Arney gathered his players and read them all of McHi’s single-season program records. Most of those marks came from the teams from 2007, 2009 and 2011 — the best teams Arney has coached in a tenure that dates back to the program’s inception in 1997. Before the 2017 group ever took the field, Arney knew the team had the talent to be his best yet, potentially rewriting the McHi record book. By the end of the year, McHi had crossed most of them off the list. The Lady Bulldogs set a new record for goals in a season with 163. Anna Hover shattered the program record with 65 goals, and Sophia Soto tied the freshman record for goals with 21. The Lady Bulldogs finished the year 29-3-1 and advanced to the Class 6A regional semifinals, marking their best winning percentage and fewest losses ever in a year. 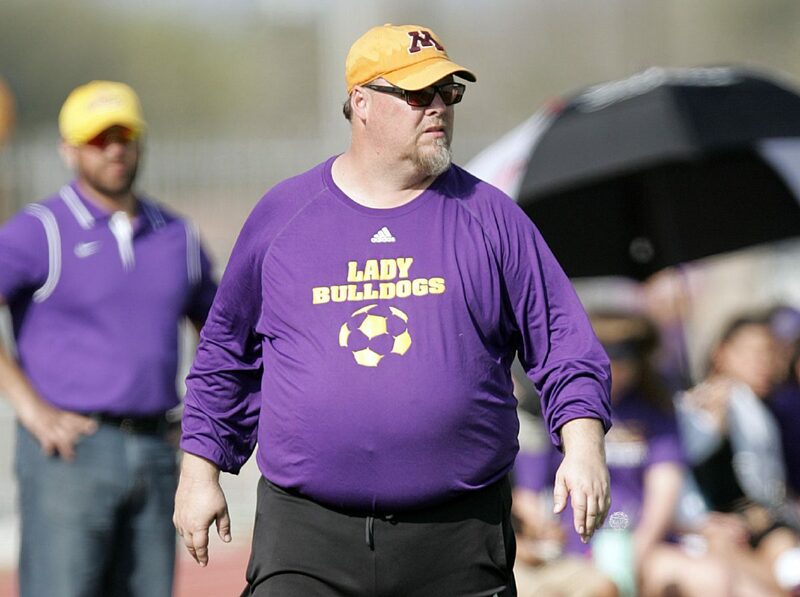 For guiding the ship, Arney is The Monitor’s All-Area Coach of the Year for 2017, though he wasn’t quite ready to declare this team his all-time best. Despite the talent, Arney’s year was not without challenges. He lost four players to season-ending injuries: Mia Munoz and Andrea Soto before the year, then midfielder Quetzel Toren during the second district game and midfielder Dana Idrogo during the latter half of the district season. He also had to reintegrate Hover, who spent two years in Oklahoma, and find the right roles for a group of standout freshmen. Through it all, McAllen High never missed a beat. Though the team eventually fell to Vandegrift in the playoffs, Arney took some solace in San Antonio coaches telling him McHi could’ve taken any of their city’s best teams. Arney has built a consistently strong program at McAllen High. The Lady Bulldogs have advanced to the playoffs each season and only finished outside of their district’s top two once, when they took third. Arney said he’s “mellowed out” some compared to the start of his tenure, a change he attributes mostly to age. In two years, he’ll have the opportunity to coach a child of a former player for the first time.